Some laws set their own limit on the amount a person may collect. For instance, you may sue to recover for damage to your motor vehicle arising out of an auto accident if the other driver is at fault. However, you are limited to that amount not otherwise covered by your insurance up to $500.00 if the defendant had insurance at the time of the accident. If you feel that a business or individual owes you money, you can bring a lawsuit against that person or business in the Small Claims division of the District Court. 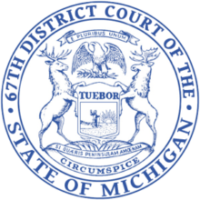 Each District Court in the State of Michigan has a Small Claims Division which is designed to allow a person a quick, inexpensive and fair determination of most claims not exceeding $6,000.00. If your claim is more than $6,000.00, and you still elect to file in Small Claims court, you waive your right to collect more than that amount. the right to appeal the final decision of the court (unless the case is heard by an attorney-magistrate). Because a person cannot be forced to give up these rights, a lawsuit started in Small Claims court may be removed to the General Civil Division by request of either party. Should the lawsuit be removed to General Civil, you will then have the right to have an attorney represent you. Before you can file a Small Claims lawsuit, you must determine who to sue. If it is an individual, his/her name and complete address must be written on the small claims form. If you are suing a business, you must indicate whether it is a partnership or corporation. Again, please note you must sue where the person lives or where the action arose. All litigants will be required to provide stamped, self-addressed envelopes to return pleadings or documents. This includes pleadings in landlord-tenant cases. When you file your Small Claim, the clerk will give you a hearing date approximately 30-45 days from the date of filing, depending on the docket. You are responsible for obtaining the proper service of the lawsuit upon the defendant. This may be done by one of two methods. The first and most common service is by a process server. You may speak to the clerk about obtaining a process server. You may also serve your claim by certified mail, restricted delivery. In order to save an extra trip to the court, it is advisable to call the court the day before your hearing to ensure that proper service on the defendant was obtained. If the papers have not been served, ask for a new trial date. It is your responsibility to make sure that all the paperwork in your possession is changed to reflect the new court date and time. PARTIES TO A LAWSUIT MAY NOT SERVE THE PAPERS THEMSELVES. Your case will be heard by a Judge or Attorney-Magistrate. You will be placed under oath and asked to state your claim. Tell what happened and why you think the person or business you are suing owes you money. Witnesses will be allowed to state what they know about the case in their own words. The defendant (the person you are suing) will also be placed under oath and have an opportunity to explain their side of the case. Listen carefully, because it is up to you to make sure all the facts are presented fairly and completely. At the conclusion of the trial, the Judge or Attorney-Magistrate will explain his/her decision and enter a judgment. If the judgment is issued on behalf of the plaintiff, it will include the amount the Judge feels is fair based on the testimony, as well as court costs (filing fees and service fees). The defendant then has 21 days to pay the judgment directly to the plaintiff. THE COURT DOES NOT COLLECT THE JUDGMENT FOR YOU. If the judge finds there is no basis for the plaintiff’s claim, then they will dismiss the case. Once the Judge makes a decision, it is final and you have no right to appeal. However, if your case is heard by an Attorney-Magistrate, either you or the defendant may appeal the decision within seven (7) days. If you (the plaintiff) fail to appear for your hearing, the case will be dismissed. The defendant fails to appear, a default judgment will be entered in your favor. However, the defendant does have the right to file a motion within 28 days to have the default set aside. If the Judge grants the motion, a new trial date will be held. You may also try to settle the matter out of court – even up to the day of the trial. Before filing small claims, consider whether you will be able to collect a judgment from the person you are suing. Sometimes collecting the judgment can be the most difficult part of the lawsuit. Again, the court does not collect the money for you. This information attempts to explain only the highlights of small claims cases. It is not a complete statement of law. Clerks at the courts will be happy to assist you in the processing of your claim, BUT THEY ARE NOT ATTORNEYS, AND CANNOT GIVE LEGAL ADVICE. If you have a question regarding the merit of your claim, or whether you have a claim, you may wish to consult with an attorney.